Sort through your photos until you find that perfect picture of your child that was taken recently. Use a photo editing program (many can be found free of charge) and add a personal message. Then print it off to send to your guests. Choose black and white to save money on printer ink if you wish; it can be quite artsy and unique that way, too. Or print off in sepia tones for another nostalgic look. A bonus is you have now created a keepsake for friends and family to cherish! Another idea is to come up with an imaginative poem about your child or the fun party you are planning, and write it down. Then print off your poem and use it to create your invitation. If you cannot think up your own poem, there are online sources where you can get quoted poetry verses that are free to use without copyright infringement. 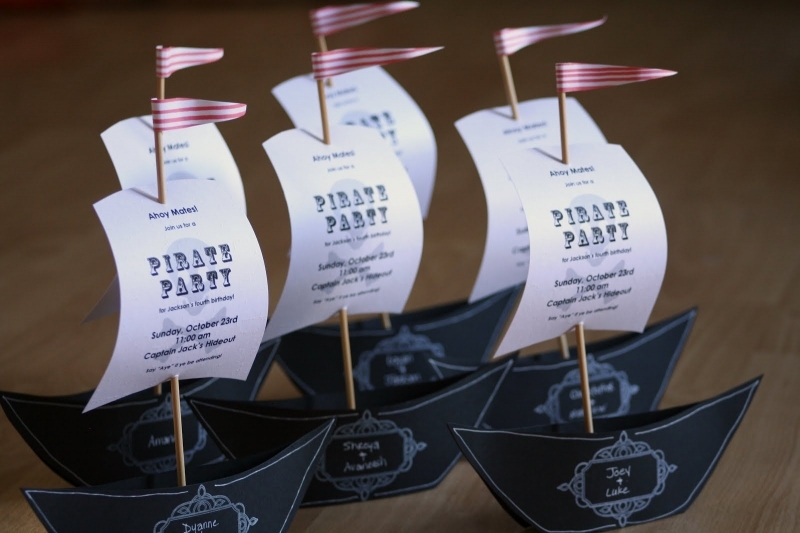 One-line quotes are another way to create excitement about your child’s birthday party. Use a quote that gives a hint of what fun might be expected at the party. You could even use a different line from a poem on each Birthday invitation, and when everybody gets together, the completed poem leads to a special prize or event. The idea is to use words to build the fun. Depending on how many people you are planning to invite, you could consider a hand crafted birthday invitation. You can get fancy with nice scrap book paper embellishments or keep things simple using construction paper, ribbons, glue, scissors, googly eyes, markers, glitter glue, foam sheets, pom poms, stencils, and stickers. Simple cut-outs from old magazines, coloring books, or anything that interests your child will make a great invitation when arranged artfully on a card and put in an envelope. This is not only fun, but it’s frugal, too. More and more people opt to send invitations using online services like Evite. These are especially helpful for last minute events. A visible guest list has the benefit of allowing other parents to see who else is going so carpooling can be an option. Pick from available templates or upload your own photo. Electronic birthday invitations allow for a quicker response time and are easily updated too. An added benefit is that electronic invites usually don’t cost anything to send. Got any ideas for DIY Birthday Invitations? Leave us a comment below.